Colonial Mix lends a country touch to any corner of your room. 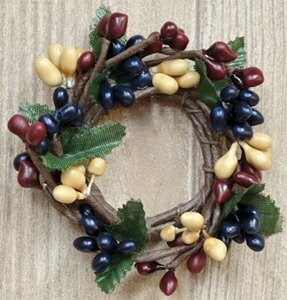 Features navy, mustard, and burgundy mini pip berries. 1" ID fits over our candles and holders.